With store-level actionable tasks delivered in real-time to each sales rep, this brewer increased revenues by 8-16% in stores using Trax. Globally, this beer manufacturer owns more than 500 beer brands and has about 200,000 employees in more than 50 countries. They are the world’s largest brewer and one of the largest FMCG companies in the world. The client was struggling with the same questions that challenge most CPGs. Are our core SKU’s on the shelf? Is our brand positioned well in the stores? Is the correct promotional material present and visible? Are our retailers complying with our contracts? Why are these stores not performing? What are these stores doing to consistently out-perform the rest? They were looking to answer these and other KPI questions in their modern trade outlets, and increase sales across the region without creating additional work for their sales reps. The client’s sales reps visited 4,300 stores (Super and Hyper Markets, Premium stores and Wholesalers). 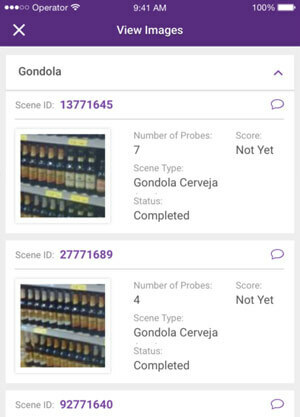 The sales reps use the Trax mobile app to capture shelf images for 221 SKUs, across 22 different brands. The images are uploaded to the Trax cloud for recognition and analysis, and within minutes, tasks required to correct existing availability, assortment and compliance issues are delivered back to the sale rep’s mobile phone. 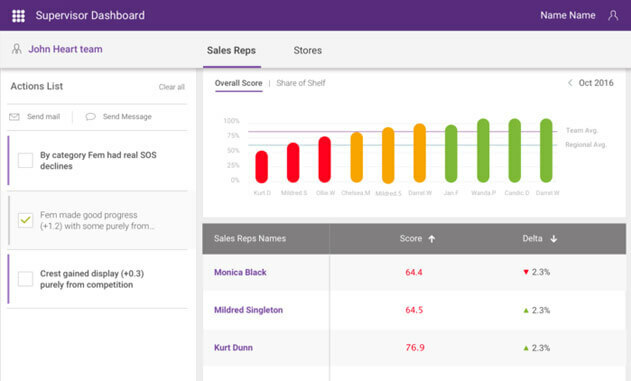 In addition to store-level actionable tasks delivered in real-time to each sales rep, Trax also combines the data from every store for more detailed analysis. This aggregated data is processed through multiple industry-standard and custom KPI engines. The resulting dashboards and reports are available 24/7 to sales managers and executives throughout the region. Using the live and historical reports, managers can easily compare the performance of every store. Under performing stores are identified and researched for areas that need attention. Managers also study their over-performing stores to identify cost-saving and revenue-increasing ideas which they then replicate to other stores in the region. Stores audited using Trax Retail Execution experienced an 8-16% increase in revenue.